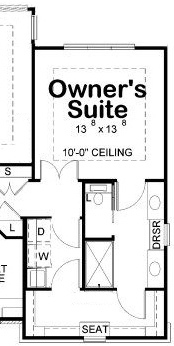 Looking for a master bathroom with a really huge shower - instead of a bathtub? 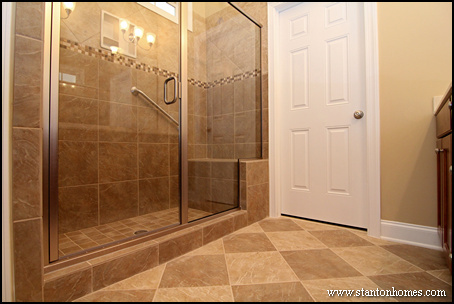 We're seeing more requests for custom master bathrooms with made-for-two showers in place of traditional shower and tub designs. 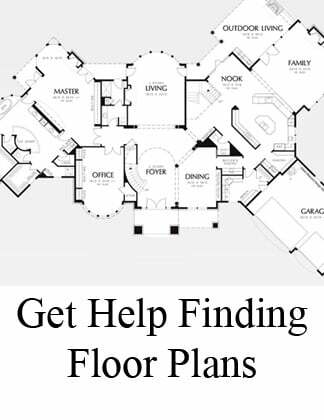 Here are photos and floor plans that can get you started with some examples of master bath designs without a tub, for your Raleigh new home. In this version of the Lake House, the master bathroom includes an enlarged shower with two shower heads and a tile bench seat. The his and hers vanities are divided by a reduced height makeup desk. 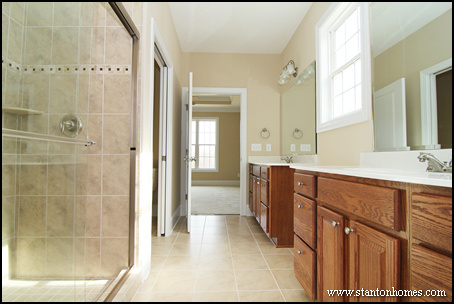 In this version of the Sherri, the his and hers master bathroom focuses attention on the shower design. 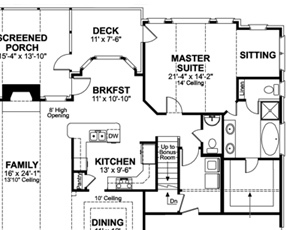 This master suite has private access to the laundry room, through the walk-in closet. *Design tip: Consider a pocket door in smaller spaces, or where there are multiple doors in a close space. 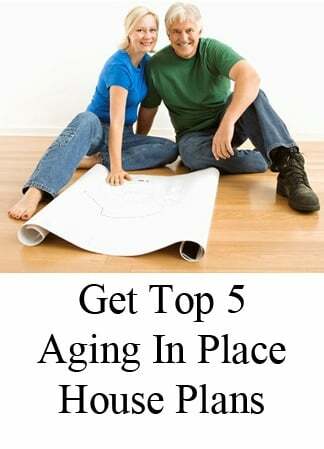 Just keep in mind that pocket doors can require more homeowner maintenance. 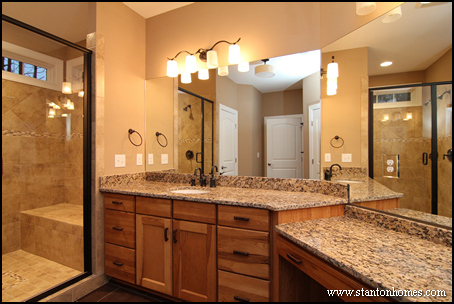 It's common for Jack and Jill bathroom designs to incorporate one or more pocket doors to keep space more open and usable. 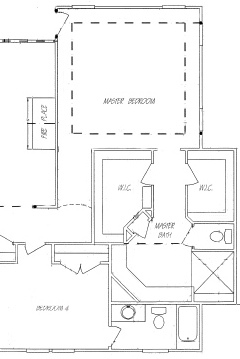 In this version of the Oak Lane, an Atlanta Plan Source floor plan, Stanton Homes converted the master shower and tub combination into an enlarged shower design. 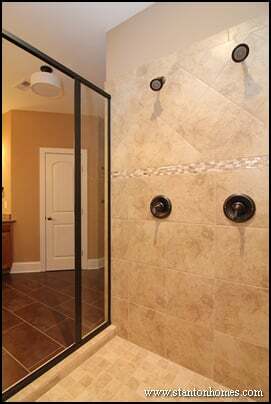 This custom tile master shower incorporates aging-in-place design features like grap bars and tons of natural lighting. The built-in tile bench makes this shower easy to use. 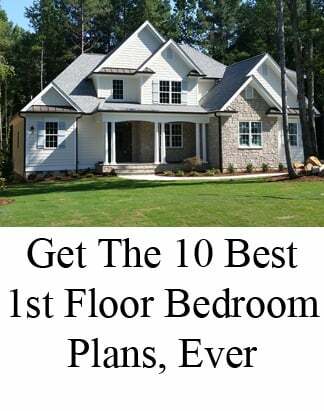 Contact Stanton Homes to learn more about building a custom home in Raleigh, North Carolina. 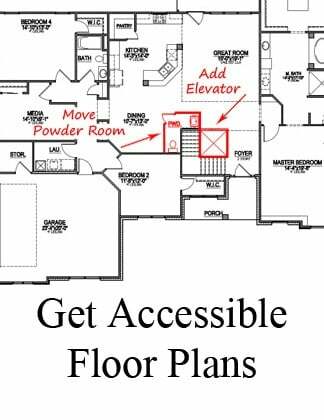 One of the best things about designing and building a totally custom home is the ability to make the special spaces that matter most. 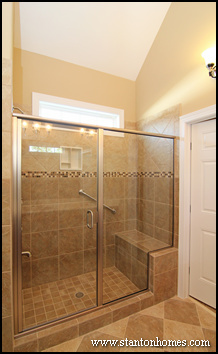 If what you're looking for is a huge shower with multiple spigots and sprays, ask us how to build it into your favorite floor plan.